Perfect workshop designed for the curious and inexperienced! De-mystify with knowledge and skill, finding the FUN and EASE of reverse needle-turn applique done the Eye of the Beholder way. Learn all the steps in the process of trace, baste, snip and stitch. For quilter’s, learn the inside tips for achieving crisp points and graceful curves. 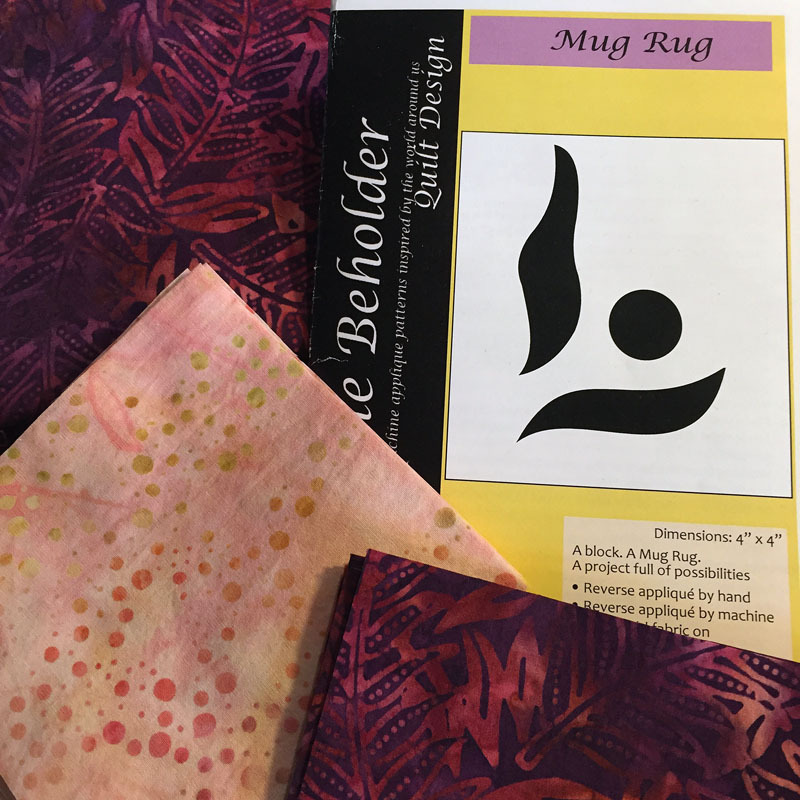 Create the simple Spring Bud Mug Rug (4” x 4”) revealed as you sew. Come be empowered while learning something new. Learn with others and experience the fun and beauty of reverse applique by hand. Fabric for top, background, backing and binding; quilt batting; 1 No. 7 Sharps needle for basting, 1 No. 11 Milliner’s needle for reverse applique. All threads and needle threader will be provided for shared use. Helpful sewing aides and other patterns will be available for purchase at the workshop.